When you are looking photographers in Rockford IL, look no farther then Stateline Photography. Jack and his son John are the only father/son photography duo in the Rockford IL area, and look to help you capture the special moments in your life – rather it is a wedding, engagement shoot, family session or a corporate event. The Stateline Photography crew uses their artistic abilities to give you imagery that will take your breath away. Stateline Photography isn’t your typical perfectly posed, natural light, airy feel photographer as we focus on creating epic imagery for you to look back on and reflect on what an incredible day it was. Each event has its own personality and Stateline Photography makes a point to capture just that. On each shoot, the duo looks to do three things: capture your story, minimize your stress from booking to delivery of the images and add energy and excitement to your day because it isn’t just the DJ’s job. 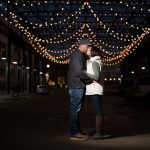 While we love working any number of events, wedding photography and engagement sessions are some of our favorite. The duo will make sure you get every picture that you want plus any others that might not be on your list with their artistic abilities. One of our favorite parts of the job is becoming a part of your family from the booking to the party after the wedding. It allows us to get a vibe for you and your partner to ensure we get images that reflect you and your event. When looking for photographers in Rockford IL and surrounding areas, look no further then Stateline Photography. Our coverage area isn’t just limited to the Rockford/Rockton area as we will travel – and do so frequently – to your event. For more information or to book your event, contact us today!